Sherrard 0166, originally uploaded by harmonweddings.com. 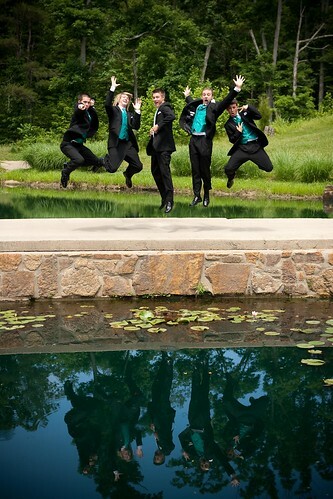 Andrew and his guys jump with their reflections mirroring the excitement of the day. What an incredible location for an outdoor wedding with all the structures, fountains, ponds, greenery and flowers.